All Nifty Notes are designed to inspire you to think about your shopping in a fresh light. 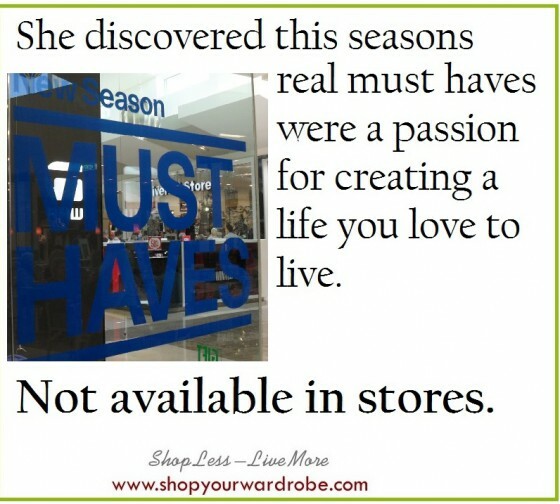 She discovered this season’s real must haves were a passion for creating a life you love to live. Every Monday here on the blog, each Nifty Note contains an original image — all photographs taken by me (everywhere from Sydney to San Francisco) — and a thought-provoking, fun and/or quirky message. If sharing these original Nifty Notes, please do so in their entirety/without any cropping or editing. For more original and thought provoking messages to freshen your thinking about your shopping and your life, check out all the Nifty Notes posts!